Dana Point out and Back. Quick ride before work today 34 miles at about 19 mph average speed. Easy ride going southbound. Tempo pace going northbound back to Newport Beach. 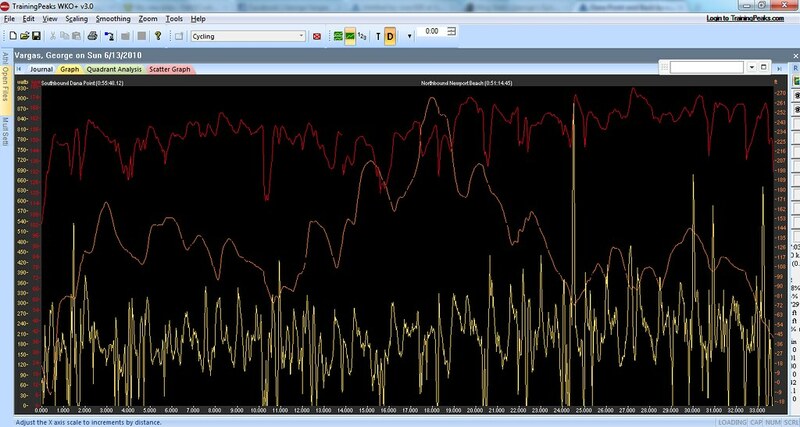 One quick analysis point– my Intensity Factor (0.93) says that I was riding at 93% of my threshold power. My perceived effort says no not really. 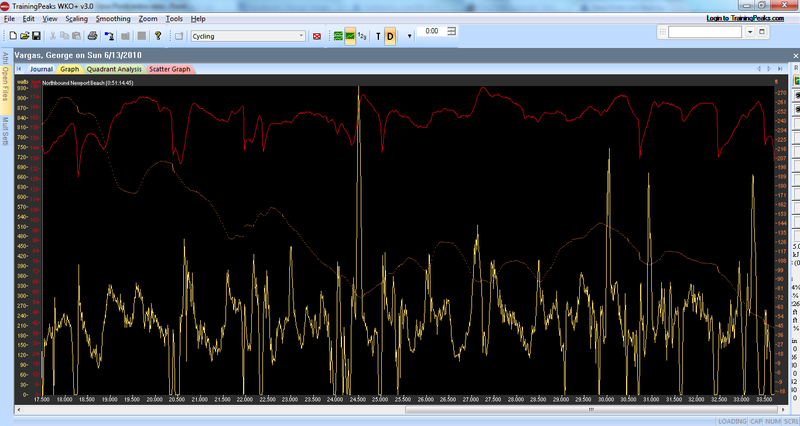 If I continue to see this type of disparity between power data and perceived effort I will raise my threshold power. 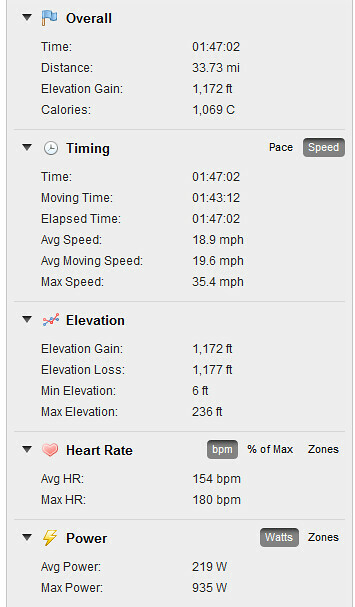 This type of disparity usually means I am gaining fitness. 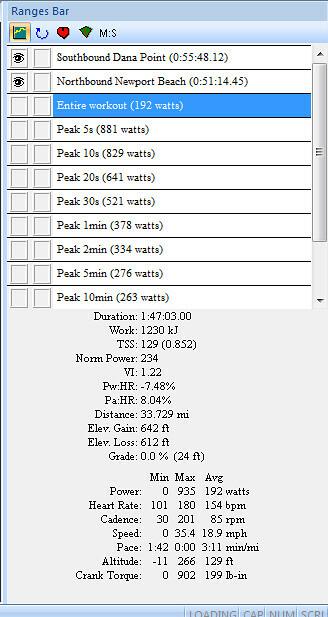 My Normalized Power was 256 (3.78 w/kg) for 51 minutes. This entry was posted in Tempo by REV Cycling Directeur Sportif. Bookmark the permalink.